Transportation, like so many other things in this world, is not cheap. 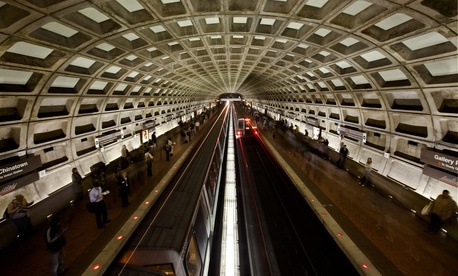 Many federal employees nationwide take advantage of the mass transit benefit program to commute to their jobs. The benefit, made available to government workers through a 2000 executive order, is worth a maximum of $245 per month in 2013, as is the parking subsidy. But how are federal agencies across the government actually administering this benefit and what’s available to employees? We’re looking for feedback from readers on their agencies’ specific programs. If you take advantage of the benefit, please email your responses to the following questions and any other comments on the topic to klunney@govexec.com. How much do you receive in mass transit or parking benefits each month? Does your agency offer a parking subsidy? How do you commute to work? Rail, bus, ferry, bike or vanpool? Please specify which type of transportation you use if it’s not listed, or is a combination of modes. How do you receive transit benefits from your agency: Full subsidy, pre-tax dollars or some other method? How far (in approximate miles) is your place of work from where you reside? Does your agency provide guidance on transit and parking benefits? Do you think this is a valuable benefit? Does the benefit influence your decision to take public transportation?